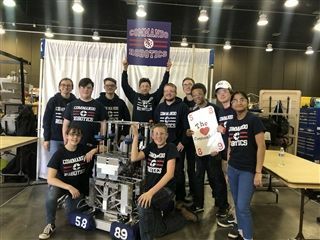 Congratulations to our Cascia Hall Commandobots who finished 13th out of 62 teams at the FIRST Robotics Competition Oklahoma Regional. They advanced all the way to the semi-finals and fell one match short of making the finals. Additionally, they won the Autonomous Award sponsored by Ford for their exemplary programming abilities and exceptional control systems. Great Job!